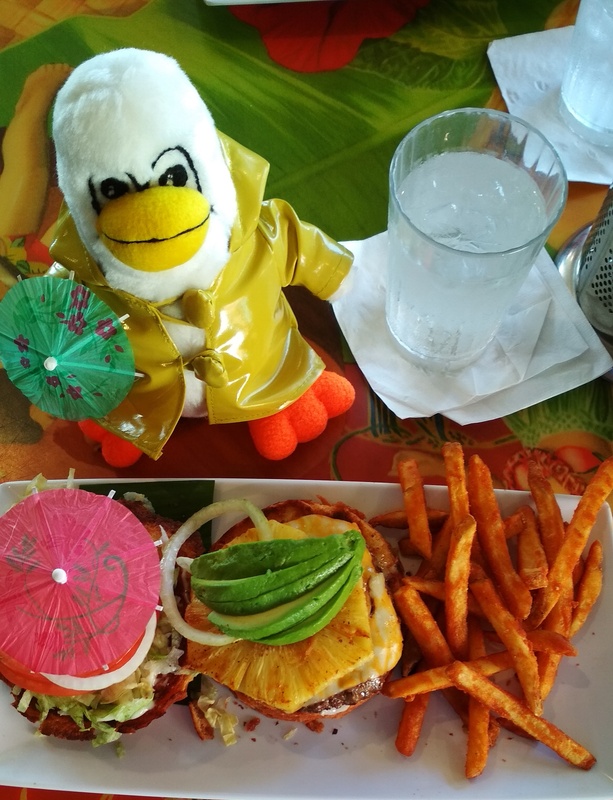 If you’re not familiar with the Jimmy Buffet song, a Cheeseburger in Paradise can still be tempting. Not affiliated with the singer,the signature cheeseburger is billed as a juicy, messy burger that you’ll need five napkins to clean up after. When it arrived in front of me, I was not a believer. A patty with cheese on one half and tomatoes, lettuce and onion on the other. The juice was nowhere to be found. There was no drippiness. It was a burger, and those thoughts were my mistake. I assembled the burger, squished it a little so it would fit in my mouth and bit down. Hamburger juices went squirting out everywhere. They ended up on my plate, on the table and on my pants. I can’t say I wasn’t warned. I have no idea how they seared so much juiciness into the patty, but I definitely needed two napkins, two wet wipes and a sink to clean up afterwards. Worth every bit of sacrifice? Cheeseburger in Paradise indeed.